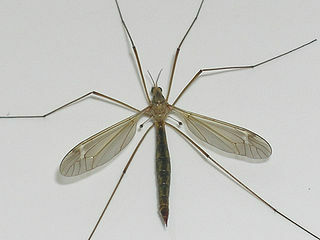 This animal as you can see is called a Crane Fly. 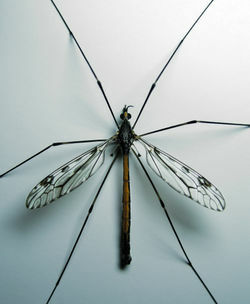 These creepy flys are also called daddy long legs. Even though it has got big wings, they are bad fliers. The rough looking, 40 mm big larve are called leatherjackets. 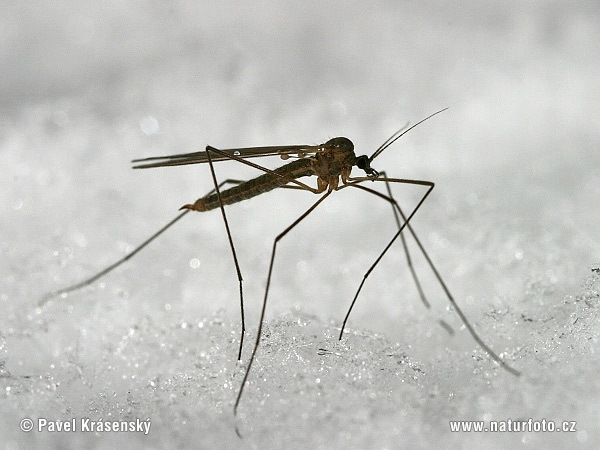 They can live in horrible wood, bogs, and damp soil, where they can eat plant roots, espeically those of grass. Crane flys make a tasty snack for passing birds!